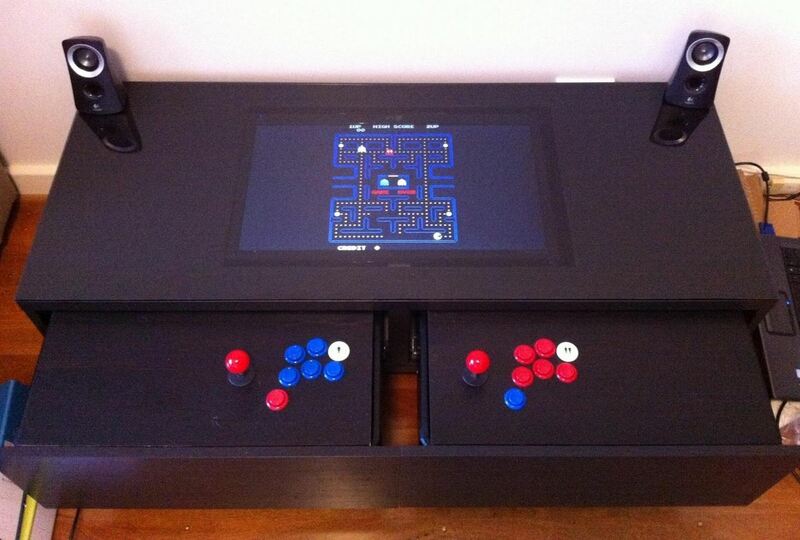 Love old-school games like Pac-Man and Space Invaders, but don't have the extra space for an arcade machine? 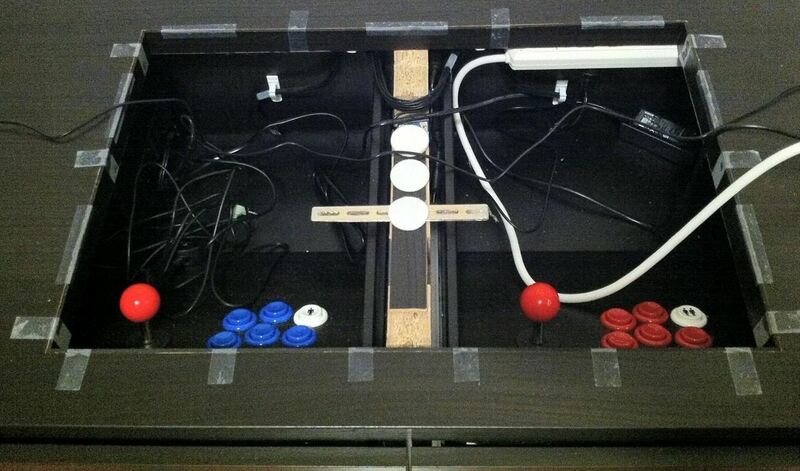 Get the best of both worlds (and save some cash) with this DIY Arcade Coffee Table built by Sam Wang. 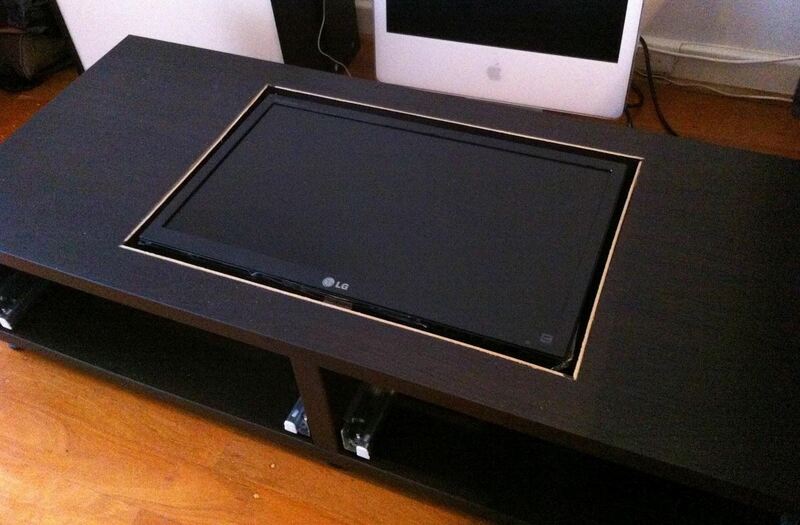 He started with just an ordinary IKEA table and drawers, then cut out a space for an LCD monitor. The controls (including joysticks!) 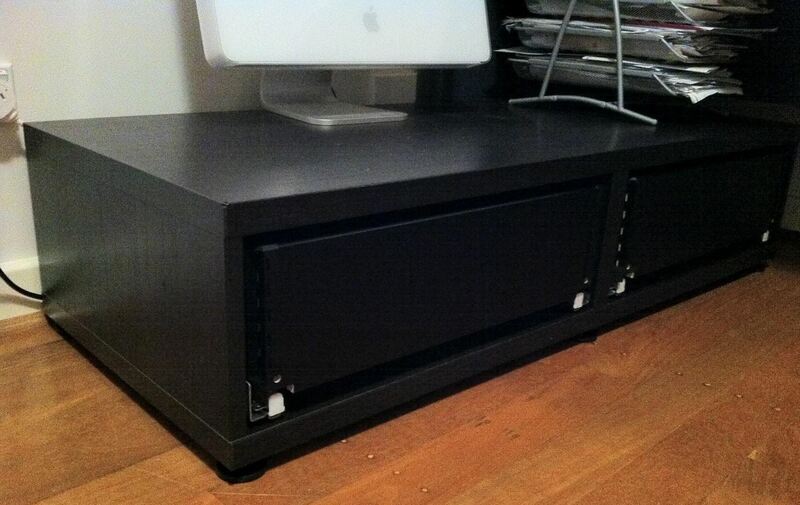 are mounted on the drawers so that when they close, it just looks like a normal coffee table. Once everything was in place, he added a glass table top, speakers, and a subwoofer for good measure. 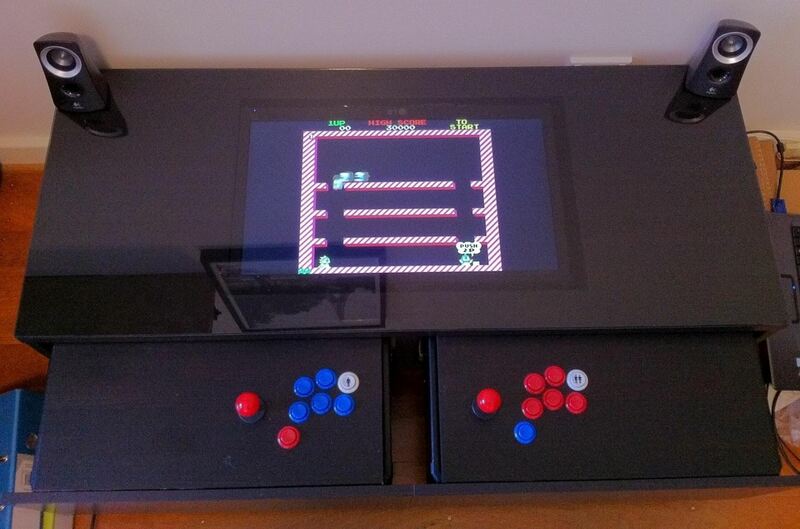 The final result is an inexpensive home arcade machine that looks pretty professional, in my opinion. For more details (and lots more pictures), plus the step-by-step process, check out Sam's blog. It's pretty sweet overall, but I think I'd make it so that the monitor could be angled up whenever you want, so you wouldn't have to hunch over so much. What do you think? How would you mod this configuration? Amazing!!!!!!!!!!! I am soo going to do this when I get the money!!!!! Thanks for this Awesome Post!!!!!!! !